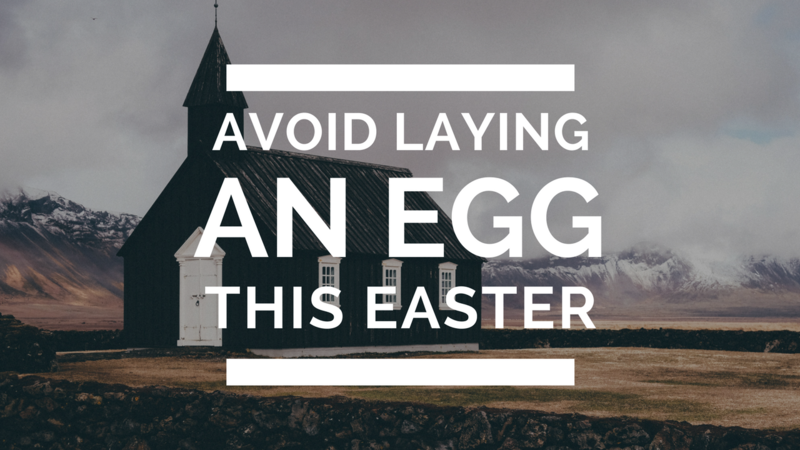 No preacher wants to lay an egg on Easter or any other big Sunday but we’ve all done it. These big days in church life are teeming with opportunity and filled with pressure and expectation at the same time. We get so caught up in logistics and planning for these days that we sometimes forget to think through how to preach on these days. Here are 4 thoughts on preaching on big days. 1. Don’t preach at Chreasters. You know, those people that only show up at Christmas and Easter. Going on a diatribe about how they only show up twice a year is fruitless. Your sermon this year will probably not change them any more than the one they heard last year. In fact, they will be prone to think you preach the same message every week so why go? Instead, be welcoming and winsome and let the Word and the Spirit do the mysterious work of salvation and growth in their hearts. Preach in such a way that leaves the door open for a personal conversation later. These people generally come to Christ through personal contact and multiple encounters with the gospel. Remember that you were like this before Christ saved you and grew you into his likeness. 2. Don’t preach cute sermons nor your masterpiece on big days. Don’t title your sermon the Egg-stravigance of the Gospel or the Egg-cellence of the Risen Christ. Stay away from titling your sermon after movies and songs, they diminish and trivialize the weight of the subject you are preaching. Also, avoid becoming a quasi-resurrection apologist on Easter and never actually get to the text. You’re probably not clever enough to impress them with your creativity or smart enough to mentally pull them to Christ. Most people’s minds are on so many things other than your sermon such as dinner on the grounds, visiting family members or the musical if you have one. Rather, be clear, concise and filled with prayer and the Spirit. This will help you focus on the main thing and the visitors will have a more realistic concept of what your church is about from week to week. Remember, sermons empowered by the Holy Spirit are enough to arrest the attention of the most distracted people. 3. Don’t forget to give yourself plenty of time to meditate on the text. Preaching on big days like Easter often involves familiar texts and simple truths. You don’t need to dress these sermons up you need to dig them deep into the fabric of the text and the life of the hearer. 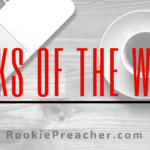 Give yourself time to internalize the sermon. It’s not necessary to memorize the sermon but spend time really thinking about it. 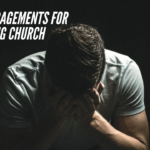 These days are busy for pastors and filled with interruptions. Technical difficulties or someone wanting you to meet their neighbor who is visiting for the first time should not prevent you from preaching well on this Sunday. These are not the days to be held up in your office trying to find some treasure no one has ever preached. The treasure in the field is Christ so just spend time with him in advance and as you make him known to the people the Spirit will change hearts from stone to flesh. 4. Don’t preach about the gospel, preach the gospel. There are a thousand books written on “what is the gospel.” Save those talks for another day. As a believer, first and a preacher second, you know what it means to move from death to life, so preach it. Tell them of the love of God, the sinfulness of their own hearts, the grace of a crucified and resurrected Christ and the urgency to respond in repentance toward God and faith in Christ Jesus. As the adage goes, keep it simple stupid. The point is not for them to walk out impressed with your intellect but to walk out changed by the glorious power of the living Lord Jesus Christ. We’ve all walked away from a big day and felt the sting of laying an egg. We know that God is working despite our poor sermons to bring glory to himself, salvation to the lost and growth to the believer. But we should always be striving in humility to preach the best we can to the glory of God. I hope these reminders will help you to become a better preacher not just on big days but every Sunday. Steve Tillis is a pastor in Raleigh, North Carolina. He and his wife have one son and another coming in June. By God’s grace, he plans to finish his Ph.D. in preaching from Southeastern Baptist Theological Seminary in December. He has a passion for preaching and encouraging pastors.